Banging head against wall here with Live Chat: have network installed and activated on main site. Functions perfectly for Admin - I see the green traffic light in top bar showing Chat active (Status available). But, when I log in as another (test) user on another computer, Chat bottom right window displays message 'you must login to participate in chat'. I've double and triple checked authentication settings in Chat 'Settings Site' - I definitely have WordPress user, Network user and even Public user checked. I can't see any other place I'd need to authenticate the logged-in user to be able to use Chat. What am I missing? Cheers! PS it's a Buddypress site. The problem is that even as a logged-in user to the site I get the "you must login to participate in chat" message. Attempting to re-enter the username/password via the gear generates "Name already registered. Try something unique". It seems that this is a user authentication issue specifically re Live Chat, since all other parts of the site appear to work normally. The site password is "silverfox" if you could kindly take another look, and perhaps run a test as a new user. Thanks for the additional information, I have just tested this and it appears to work for me, please see attached screenshot, can I have a screenshot of what you see please? Tried another test: I reset Safari on my laptop and created another user. Still no go - same beahaviour of not seeing the Chat info in top bar and error message bottom left. This is very puzzling since it seems that you can see the Live Chat and access it normally, whereas for some reason here I cannot. I don't think it's any kind of IP or ISP issue because my business partner is having the same problem from any entirely different location on a different IP and ISP. The screenshots attached, by the way. Any clues on what I can do to resolve this? Greetings, some questions. Let's focus only on bottom corner chat and forget for now about the WP toolbar options. 1. On your non-admin test user(s) what WP user role are they? 2. As admin login into wp-admin. Then go to Chat > Site Settings. Then to the authentication tab. Provide a screenshot of Login Options checkboxes as well as the Moderator Roles checkboxes. I just registered as a user on your site. Can you look for the user 'paulincsub' and promote me to some reasonable WP role? After I completed the user registration and log into WP I also am seeing the message in chat. But really this depends on what login options you have defined under Chat > Site Settings > Authentication. Let me know. have just enabled you access to superadmin. under Site Settings, I enabled WP user, Network user and Public user. writing reply to your earlier msg now..
One other thought. Are you running any role management plugin? When a user loads any page on the site Chat goes through the process if trying to identify the user. If chat determines the user is logged into WP it then checks if the user has 'read' capabilities. The 'read' capability is generally on by default for all user. I just tried to access the wp-admin dashboard and was shown the message that I don't have permission. So looks like your setup is removing 'read' capability from the users. So this is what Chat does not think the user is authenticated. Let me check on patching the code. Thanks for your followup. First just to say that I have posted a user ticket FAO jack and Tom, which has my backend login and passwd. I should point out that for rather arcane reasons I have deployed the site, configured for WPMU, onto an Bluehost Addon domain for now for testing purposes. Later, it will be deployed to a dedicated IP account onto root to enable multisite. As you'll see from the setup, so far sites are not enabled (apart from main site, of course) and I haven't hit any issues with other WPMUDev plugs. test users are 'Participant' in site and forum. Can I email you the superadmin login details to check the backend? Just went into site users (as opposed to Network Admin) and have promoted you to admin for the site. Could you try logging in again? Think I may have seen a/the problem: for some reason, the site is not assigning roles for new users for the site. How can I fix this? Is it a question of using an extra plugin to auto-assign new users a role?.. Hmm, I'm still not able to find a solution for Multisite on setting a default user role. So at least this is not a Chat bug. :slight_smile: Still I want to rewrite the chat code to allow the 'read' capability from being required. the issue seems to be that even with a plugin such as WP Roles at Registration (see https://premium.wpmudev.org/blog/daily-tip-how-to-assign-wordpress-user-roles-at-registration/) active, a newly registered user is not being assigned a WP role in BuddyPress environment, even though he/she is being assigned Site and Forum roles as participant. When I manually change user WP role via edit, it shows that user has "no role for this site". When I amend this to Author, say, I see that Site Role changes from Participant to Author. Confusing, huh?! Maybe Multisite User Management of some such can help here? basically, I used Multisite User Management network installed to automatically assign new signups to Author. Author then shows as the Site Role in Admin>Users list; but the Forum Role is blank. However, a quick test shows that the new user CAN use the group forums, create a topic, etc. I noticed that when I 'edit' the user, at the bottom Forum Role is defined as 'Participant' even though in the overall user list it is blank. Weird. Is this some kind of bug? The other thing I noticed is that the user shows on the users list immediately after confirming registration email; whereas before the user would show only after logging in. Also, on logging in, the Chat default seems to be offline - requiring user to set him/herself online before using chat. Is there a way to set the plugin to automatically put the new user online with Chat on first login? I guess the User Role Editor plugin might be a solution for the Forum user role issue; but while it works, I'm loath to add one more workaround plugin. Weird. Is this some kind of bug? I can't say I have any knowledge of the Multisite User Management plugin. So it might be a bug. Or might just be something configured incorrectly. This is going to depend on how your user confirmation processing works. Basically Chat checks if the user is a WP user and if that user has 'read' capabilities which by default all WP users do have this. What happens during the signup/confirmation process is really dependent on how you have your site and other plugins configured. Meaning if the user is auto logged in as a part of the signup confirmation then that is why they are showing in the user list. At the moment these is no way to set the default. We worked with a few members during the development and it was pretty unanimous that they wanted the user default to be off. 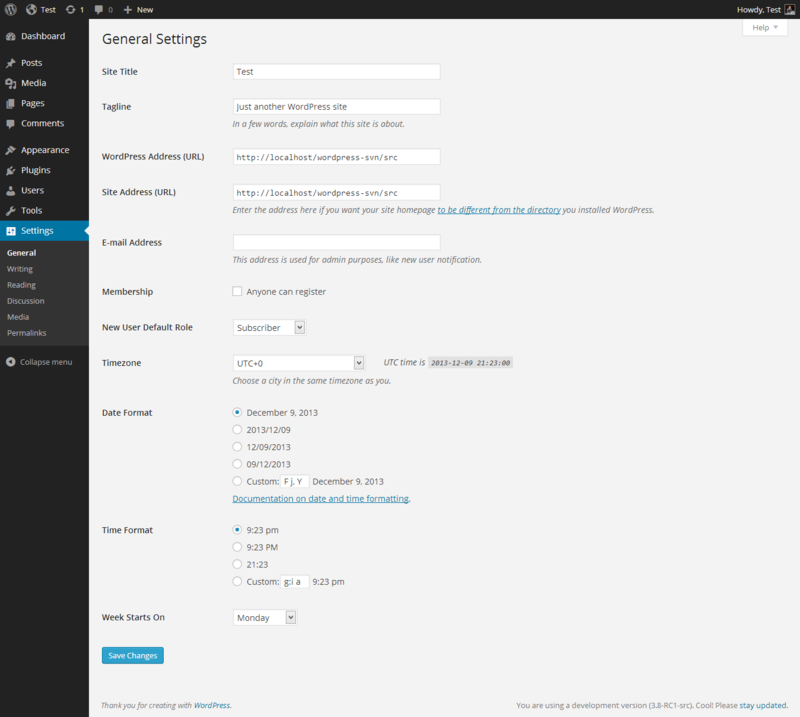 In some future version of chat we may have a way the admin can set the default user settings. But in the current version not there. I agree. You should not need to add another plugin. Sorry this is outside of the Chat plugin functionality so my knowledge is somewhat limited. I think I am having a similar issue. I have chat enabled for groups. I assumed that a logged-in user (to the network) would be able to chat with other group members without re-authenticating. Please confirm that it should work that way. Right now, only the admin does not get the message to log in. I assumed that a logged-in user (to the network) would be able to chat with other group members without re-authenticating. I'm assuming you mean BuddyPress Groups? The way this works is IF the WP is a member of the group only will they be able to chat within the group. There is no check for SuperAdmins. The user still needs to be a member of the BP group. Also, in case you didn't read through this thread the issue was not with Chat. But that when user were added to the site there was no default user role assigned to them. The current version of chat assumed the user at least has the 'read' role capability. As for your first response - yes, I *only* want chat enabled for groups (for collaboration purposes). I expected any group members to be able to chat with each other, but only the network admin user can. I'll read through the whole thread again. I wonder why default roles are not being assigned...? I expected any group members to be able to chat with each other, but only the network admin user can. Well you might be experiencing the same issue as pxjenkins. I guess the first thing is verify using some editor or author user. Check the user's profile to ensure they are assigned a role. Again this is outside of of chat. I've verified on 3 different BP installs this works correctly. Not sure on your own setup. Also might help to get a WP Role mgmt plugin and verify the individual role does have the 'read' capability set. Not sure how this happens but on some other threads this is getting turned off. Again not something managed by Chat. FYI, latest update to the chat plugin seems to have fixed this issue. No longer getting the login prompt for group members. Many thanks for taking the time to let us know.